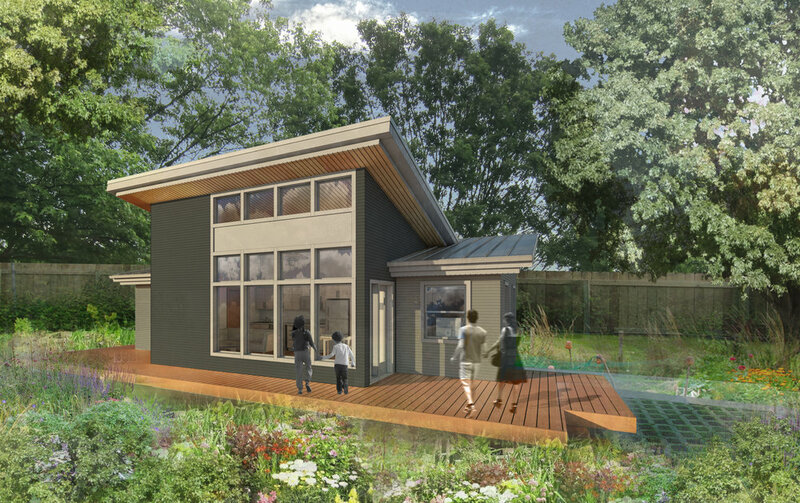 The concept for the design of this Accessory Dwelling Unit, located in NE Portland, is derived from shifting boxes. 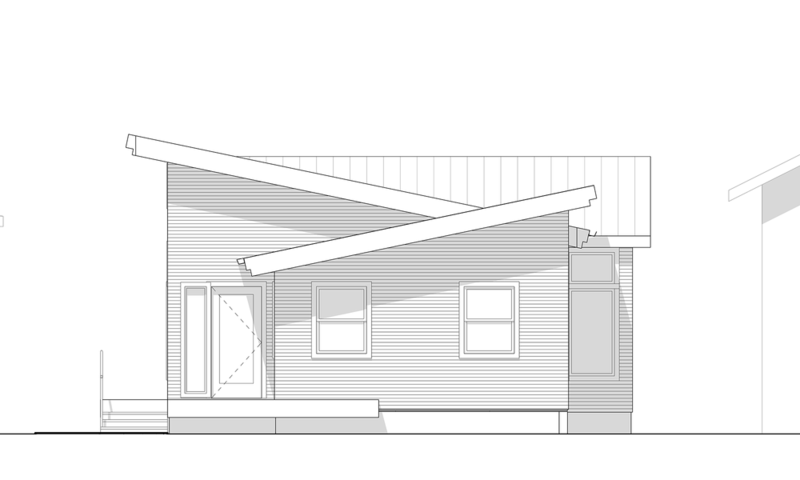 The client for this Accessory Dwelling Unit values privacy but desired to share the small living space with a renter. The solution involved creating three boxes, one for each bedroom, and the third for the living room, kitchen and bathrooms. The two bedrooms were pulled apart and the living areas were placed in-between acting as a buffer. 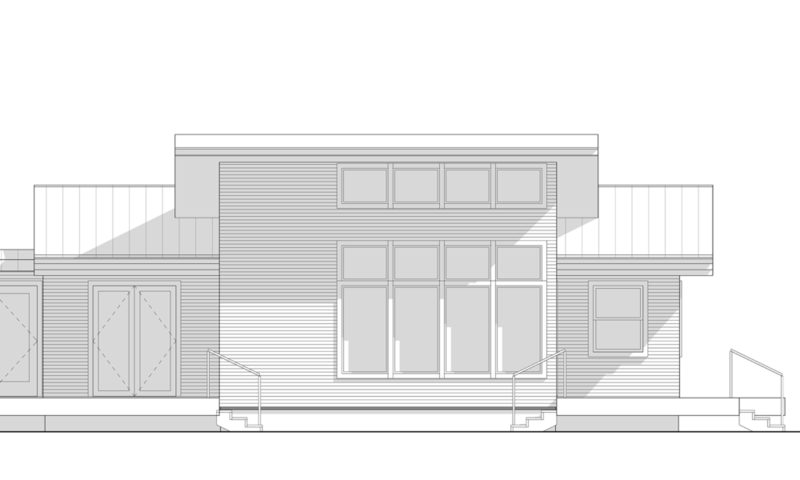 To get around the strict design guidelines we created shed roofs over each box, matched the pitch to the roof of the original house, but then alternated their slope to create a butterfly roof form. The living room roof is lifted towards the south, with floor to ceiling windows, allowing for ample natural daylight to enter the space. The roof overhangs provide shade in the summer months but allow sunlight to enter during the winter. The walls are designed with 2” of continuous rigid insulation to maximize their efficiency. Mini splits are used to condition the space and highly efficient appliances and lighting further reduce the energy load of the structure. 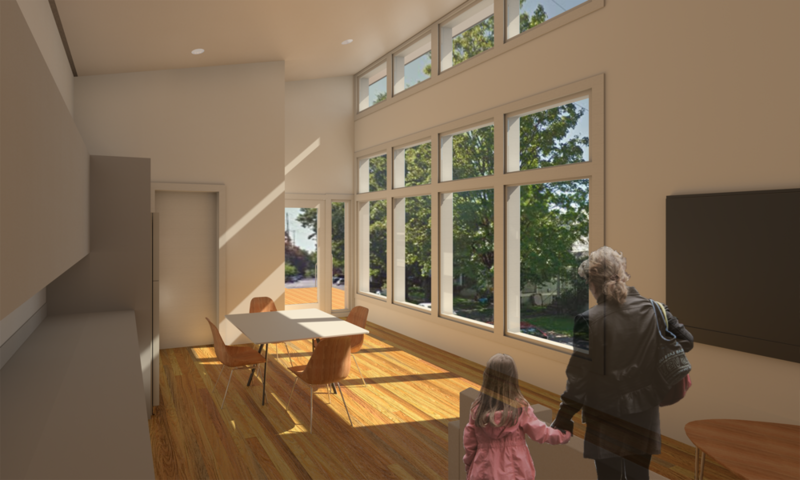 Ultimately the 704sf ADU offers a nice balance of communal living with privacy, a connection to the outdoors and a form derived from principals of sustainability.